A revocable trust is an agreement that dictates how your assets will be distributed, both during your lifetime and after your death. The trust is called “revocable” because you retain the right to revoke the trust, or amend it, during your lifetime. A revocable trust may appeal to you if you want to avoid the expense and public nature of probate proceedings. However, revocable trusts can be costly to establish and administer, mainly because you — or your trustee — must be sure that assets are properly transferred to the trust. Choose the settlors for your trust. The settlor is the creator and funder of the trust. You can have more than one settlor for a revocable trust. For example, a husband and wife can serve as joint settlors in a family trust. Name a successor trustee. Typically, the settlor of a trust will carry out trustee duties during her lifetime. After her death, her successor trustee will be responsible for managing the proceeds of the revocable trust. If a husband and wife form a family trust, they should select a successor trustee who will serve as settlor after both spouses die. Choose your beneficiaries. Beneficiaries can be people or entities such as charities. They will receive proceeds from the revocable trust, either during your lifetime or after your death. You can name your spouse, children, or other family members as beneficiaries. If you can, hire an attorney to draft the trust agreement. Having a licensed attorney prepare your revocable trust agreement is the only way to ensure its legality, notes the Missouri Bar Association’s website. 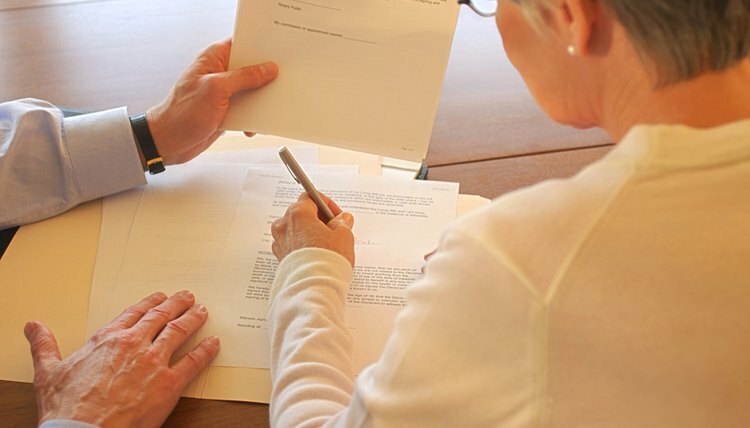 You should enlist the services of an attorney who specializes in estate planning law. Fund the trust. Any assets that have not been transferred into the trust are subject to probate upon your death — and one of the main benefits of establishing a revocable trust is avoiding probate. This can be done by naming the trust as owner of bank accounts. Stock certificates should be reissued in the name of the trust. For real estate holdings, the title must be updated. The revocable trust can also hold any shares you own in entities such as partnerships or limited liability companies. A family trust is used to pass assets on to family members or other beneficiaries and may be set up as part of an estate plan. The trust is set up by the settlor – the person who owns the assets. The settlor's assets are then transferred to the trust. The trust is managed by the trustees on behalf of the beneficiaries – those who will benefit from the trust. Establishing a family trust avoids probate on the settlor's death and has certain tax advantages. A living trust is a way of managing assets, a tool used primarily in estate planning. It offers a number of advantages over a last will and testament, including greater flexibility in the management and distribution of your assets. Living trusts are governed by state laws and these laws differ slightly from state to state.